It is Virat Kohli’s birthday today and his favourite cricket ground – The Adelaide Oval wants to make it memorable! Virat has been vocal about how important the ground has been for him and how he’s achieved major milestones of his career on this cricket ground. Kohli registered his T20I best of 90 not out in January this year. What's more, he has had 3 Test hundreds and 1 ODI ton at the venue. The birthday boy himself revealed that he loves playing at the ground and wants to take it with him wherever he goes. He has also stated that his journey has a Test Captain began at the Oval. So on his birthday today, Virat gets a special wish all the way from Adelaide Oval, South Australia honouring his special relationship with the ground. 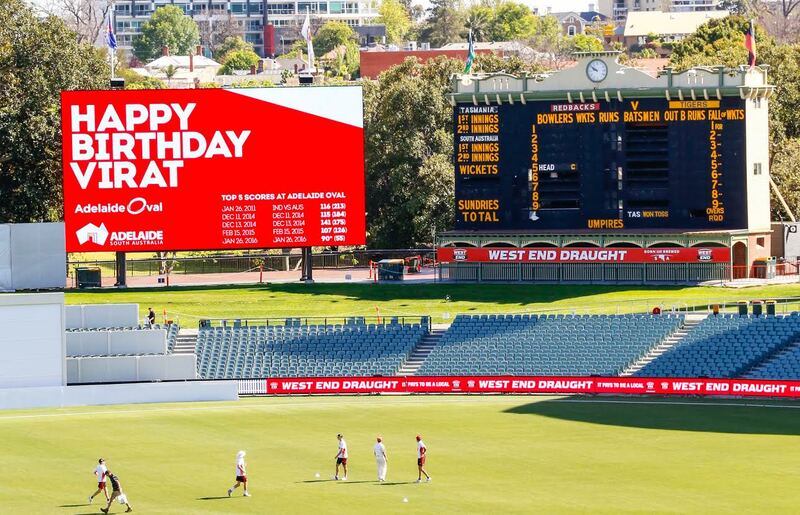 In a unique gesture, The South Australian Tourism Commission along with the Adelaide Oval is sending him good wishes. 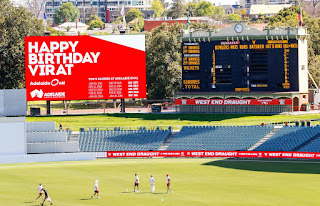 To reciprocate Virat’s love for Adelaide, Here is a picture of the ground and its iconic scoreboard wishing him a very happy birthday along with a special mention of Top 5 best scores at the ground!